LAS VEGAS — Gubernatorial candidates Rory Reid and Brian Sandoval will speak at their first joint public appearance: the Nevada Subcontractors Association’s annual luncheon Wednesday, Aug. 11. Sandoval and Reid will each give a 20-minute keynote speech and, specifically, will discuss the state of the economy and unemployment and how each would address such issues. A deck of cards will be cut to determine who speaks first. The luncheon will not include a debate or a Q&A. 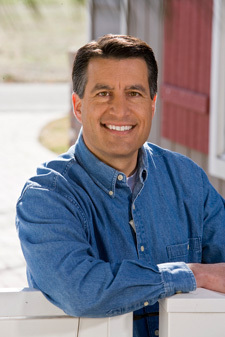 Reid, Clark County Commission chairman, is the Democratic gubernatorial candidate, and Sandoval, a former Federal judge, is the Republican gubernatorial candidate. Two hundred guests, including elected officials, NSA members and representatives from other local trade associations are expected to attend. The Nevada Subcontractors Association, a nonpartisan organization, was established in 1999 to promote, enhance and protect subcontractors’ rights in Nevada.